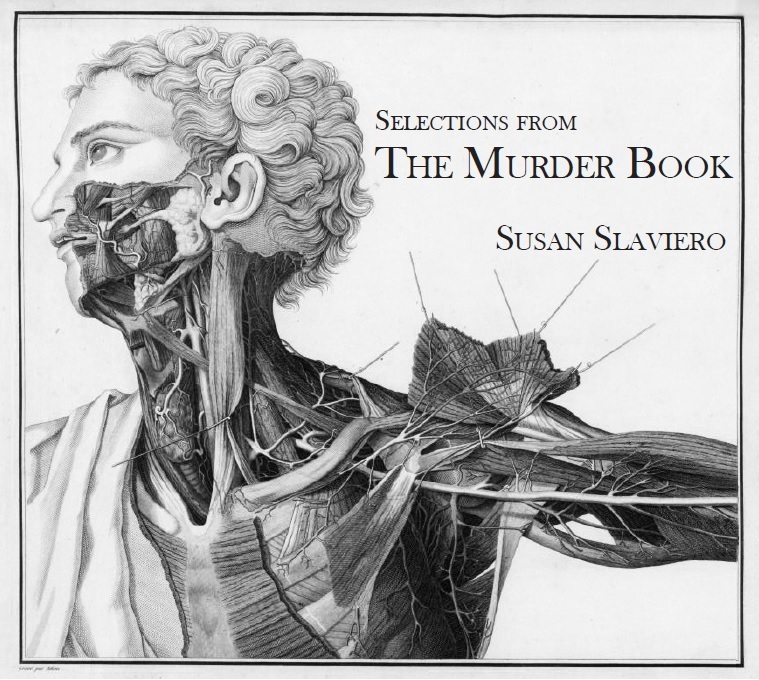 In Selections from The Murder Book, Susan Slaviero asserts herself as the master of morbidity, the queen of creep. The collection stalks the murderer and the victim—the “deboned Jezebels with rosemary in their hair,” the monster “sleeping in a nest of newspaper with a fresh heart.” Yet, for all the screams and squirms, Selections from The Murder Book is also a humorous and clever examination of the horror / crime / slasher genre, and no one is better to handle the fine-toothed comb than Susan Slaviero. Summer 2012.